Oxmoor Auto Group brings a wide variety of new and used vehicles to Louisville, Kentucky, including the best SUVs currently on the market from top brands like Toyota, Mazda, and Ford. Take a look at some of our favorite SUV models below. Then, visit our Louisville, KY dealership to test drive the SUV of your choice! Lease a new SUV at your local Louisville, KY dealership. You might recognize Mazda first for its excellent yet affordable sports cars. 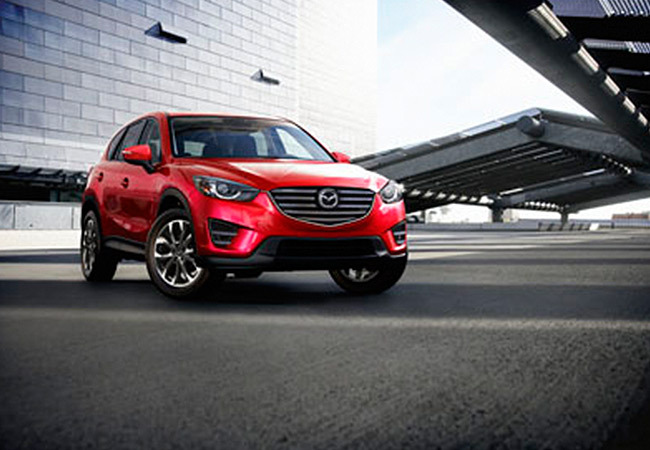 But the Mazda CX-5 takes the brand’s sports car design philosophy and puts it in an SUV-style chassis, making a powerful, smooth ride with a spacious, comfortable cabin. A 155 horsepower 2.0L four engine with front-wheel drive and six-speed manual transmission comes standard, with a slew of possible upgrades. 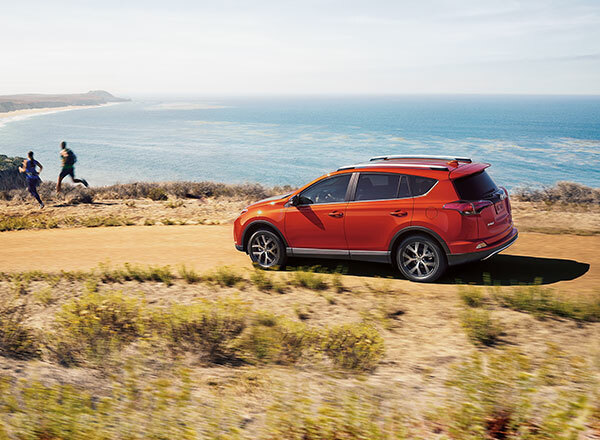 Toyota enters into the SUV market with the Toyota RAV4, a functional and highly practical SUV with a standard 176 horsepower 2.5L engine that can be upgraded to a 194 horsepower hybrid model that includes four-wheel drive. With a low rear load floor and roomy interior, you’ll have no problem packing up the camping essentials or hauling some furniture. The Ford Explorer was an early contender in the SUV game. Today it remains one of the highest ranked SUVs on the market, and it’s easy to understand why when you get behind the wheel. It has smooth handling, a powerful engine, and a spacious, comfortable cabin. 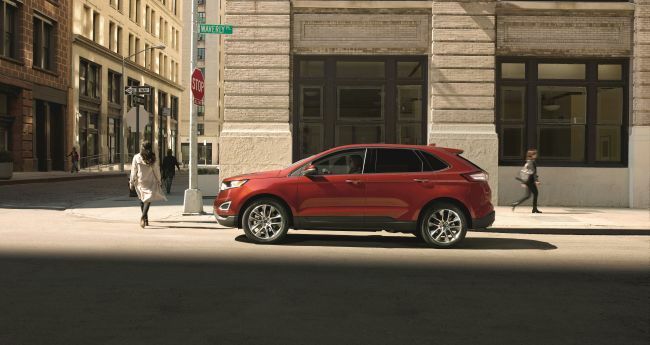 The Ford Edge is a high-tech crossover SUV with some pretty cool features, like enhanced active park assist that will park the Ford Edge for you, a front 180-degree camera, a blind-spot information system, and a powerfully efficient EcoBoost 2.7L V6 engine in the Sport build. 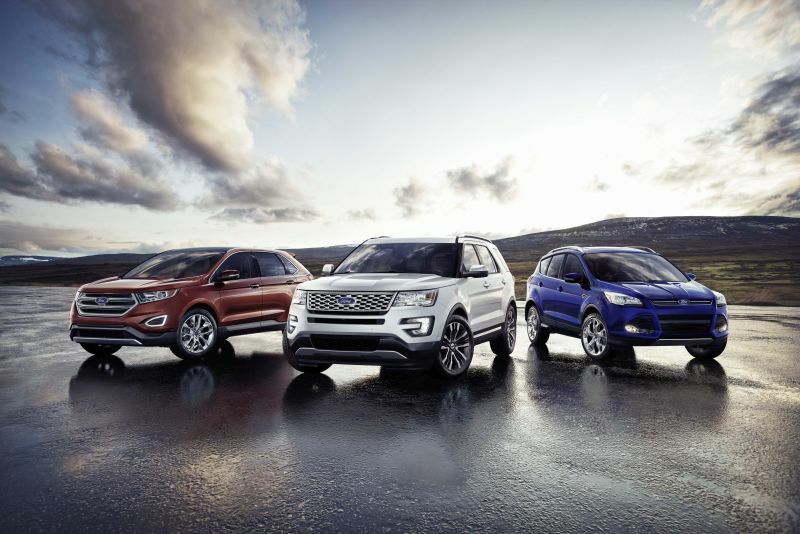 With all these great choices, choosing a new SUV can be hard. The Oxmoor Auto Group team is here to help you come to your own informed decision. 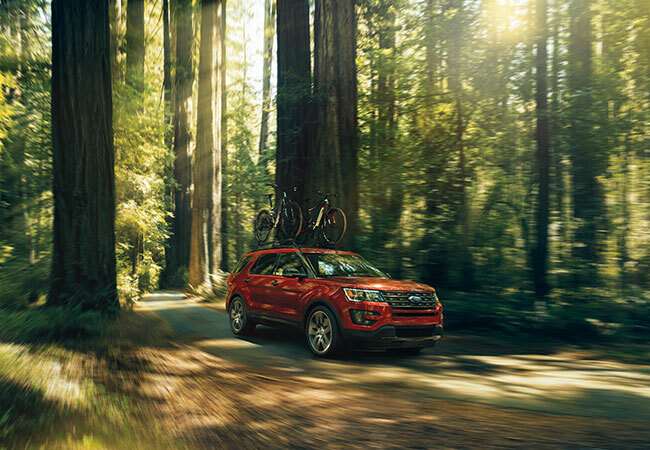 Speak with one of our associates to set up a test drive of your favorite SUV, explore its features, and learn about financing and upgrade options. When your vehicle needs a tune-up or some repairs, bring it into our automotive service center, where an experienced team of technicians will handle anything from a quick inspection and oil change to advanced engine parts replacements. You can make an appointment for fast service today by giving us a call or going to our service page.